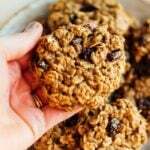 Healthy oatmeal cookies made with fiber-rich oats, coconut oil and applesauce instead of butter and coconut sugar. One cookie has about 115 calories! Naturally gluten-free and dairy-free. I’ve been looking back on the EBF archives and noticed that I have a ton of awesome healthy cookie recipes, but there are a few that are old and outdated they need to be spruced up before I share them again. 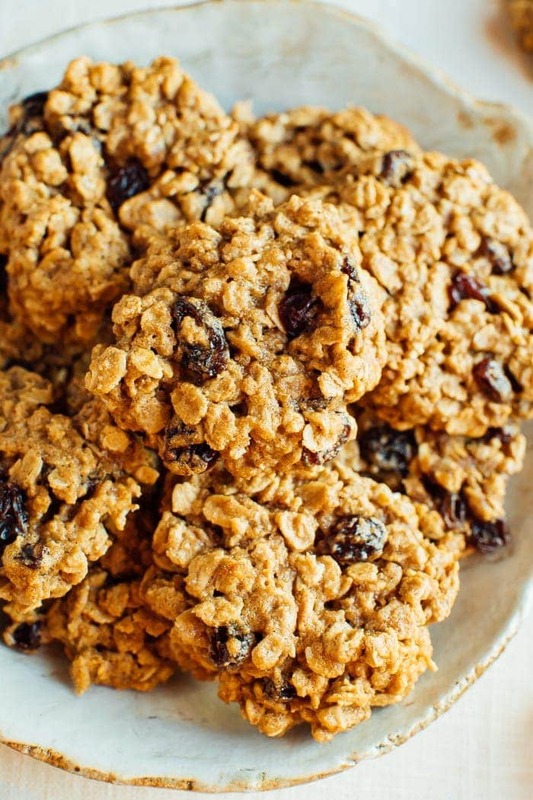 These healthy oatmeal cookies are a great example. The first time I shared the recipe was back in 2012. I made the cookies for a New Year’s Eve party. They were a big hit, but the recipe needed a bit more testing and the photos were in dire need of an upgrade. It’s so funny because back in the day, my site was more of a journal so everything I posted was essentially a recap and many of the recipes I shared were things I’d only made once. Obviously, there wasn’t much recipe testing involved. And when it came to holiday recipes, I was usually posting them after the fact. I remember one year I posted my healthy sweet potato casserole after Thanksgiving and said, “I know it’s late but you can always save the recipe and make it next Thanksgiving.” Who does that? I quickly realized this wasn’t ideal so now I have an editorial calendar and I plan in advance what I’m going to post, with seasonal trends and holidays in mind. That way I’m posting content and recipes that are timely and useful to you when I post them. I’m honestly not the best at being ahead of schedule and having things planned out, but it’s something I’m definitely working on and being more organized and efficient within EBF is a goal I have for 2018. 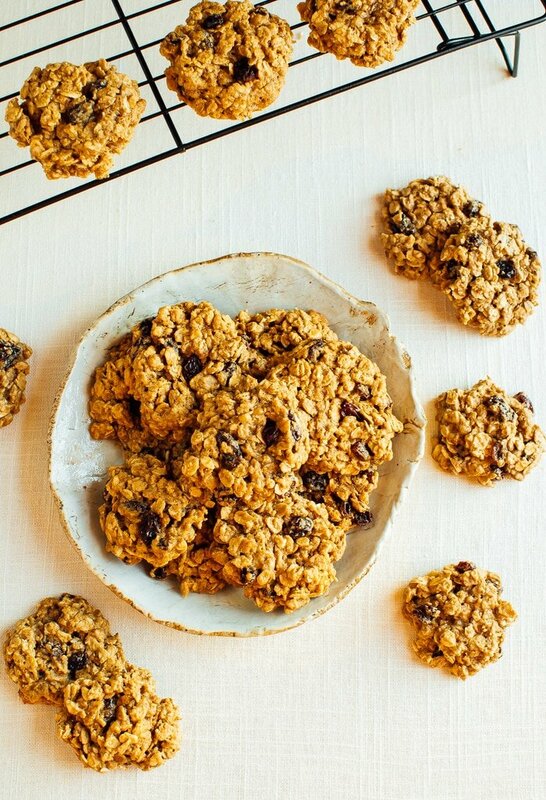 Anyhow, enough about that… let’s chat about the fact that these oatmeal cookies are absolutely delicious. They are perfect for a vegetarian or paleo diet. 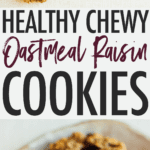 I love the combo of oatmeal, raisin and cinnamon, so oatmeal raisin cookies are one of my all-time favorites. This recipe is super easy to follow and naturally gluten-free because we’re using oats and oat flour as the base. If you’re new to using oat flour, it’s essentially just rolled oats ground up into a fine flour. You can find it at most grocery stores in the natural section (I usually buy the Bob’s Red Mill brand) or simply make your own by processing rolled oats in your food processor or high speed blender. If you make these healthy oatmeal cookies let me know how they turn out by leaving a comment and a star rating below. Your feedback is so helpful for the EBF team and other EBF readers. 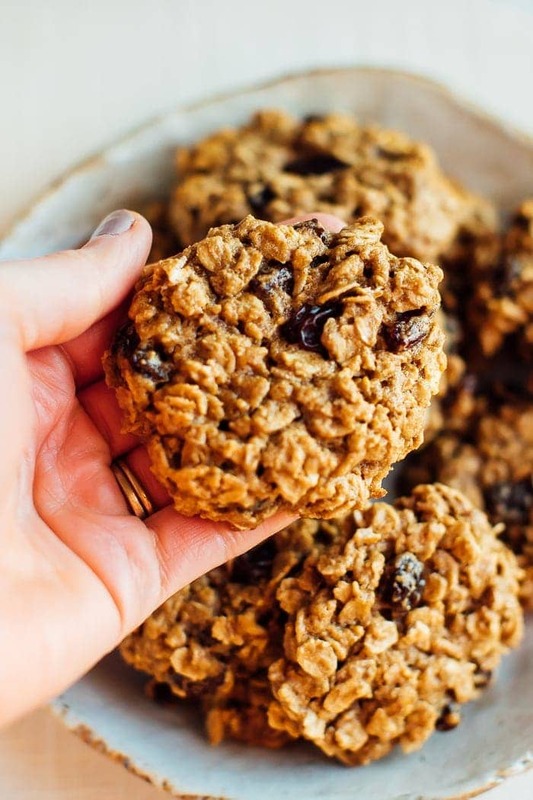 These healthy oatmeal cookies are made with fiber-rich oats, coconut oil and applesauce instead of butter and coconut sugar. They are easy to whip up and are naturally gluten and dairy-free and paleo-friendly. Spray two baking sheets with cooking spray or line with silpat mats and set aside. In a medium bowl, mix together oats, flour, baking soda, baking powder, cinnamon, nutmeg and salt. Set aside. In a large mixing bowl with the mixer set on medium speed, beat together oil, applesauce, sugar, eggs whites and vanilla until fluffy and smooth. Slowly beat in the oat mixture. Lightly stir in raisins. Using a spoon or cookie scoop, drop cookie dough by rounded tablespoonfuls about 2 inches apart on baking sheets. Press each cookie down with a fork a bit. Bake for 10 minutes, or until golden brown. The cookies will seem a little soft, but do not over bake or they’ll get too crisp. Remove from oven and let cool on sheet for about 5 minutes or until they start to harden up a bit. At this point you can transfer the cookies to a wire rack to cool completely. 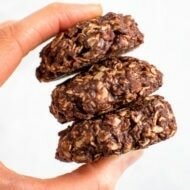 Want more healthy cookie recipes? Check out these Sweet Potato Breakfast Cookies, my favorite No Bake Cookies or these gluten-free Peanut Butter Blossoms. You might also try my healthy peanut butter blossoms. They are contain only six ingredients and are so easy to make. I must try those oatmeal cookies!! And the kale omelet looks superb as well! Made me hungry at 11:45 at night.., thanks! Those cookies look so good – can you believe I’m never made oatmeal raisin cookies?!? I love champagne, but I need small glasses, too. The bubbles tickle my nose and throat! The cookies look fabulous! I need to remember to copy down this recipe. I LOVE heaters, too! I’ve been using mine almost every day – especially when catching up on my Google Reader or working on blog posts. They are the BEST! The cookies look really good! Oatmeal cookies are my favorite! YUM! An actual bowl of nuts – love it! It’s very festive and you burn calories when you crack them open – he he! 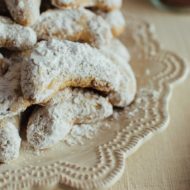 I made these cookies this morning and they are delicious! In the recipe you didn’t mention when to add the applesauce, so I added it to the oil mixture. I’ve eaten 3 of them already. Thanks for the recipe. I don’t think steel cut oats will work in this recipe. I highly recommend using old fashioned rolled oats. I am absolutely thrilled to find your sight for gluten free recipes. My granddaughters will visit me more oftent. Thank you so much. Couldn’t resist making these right away! I subbed some oats for almond flour and reduced the sugar a bit, adding in maple and molasses instead. I also added a lot more cinnamon and nutmeg to make them super spicy! Delicious! 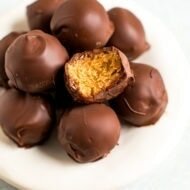 This is quickly becoming one of my favorite recipe sites! These cookies are amazing. I had to double the recipe as I am making them for a large group and they turned out fantastic. I did use raisins instead of dates and I added one egg for a double batch since I wasn’t concerned about them being vegan. I also added 2 individual packets of stevia to add a little extra sweetness. I had to make myself stop eating them so I’d have enough for the event! Can I use a chia substitute for the 2 egg whites? Also can the coconut sugar being substituted with maple syrup and if so how much do I use? I think I made them by the recipe but they turned out crumbly, more like granola. The mixture never seemed to get fluffy even though I beat it at high speed for several minutes. I would like to try them again if I can figure out what I did wrong as my husband seems to like them.